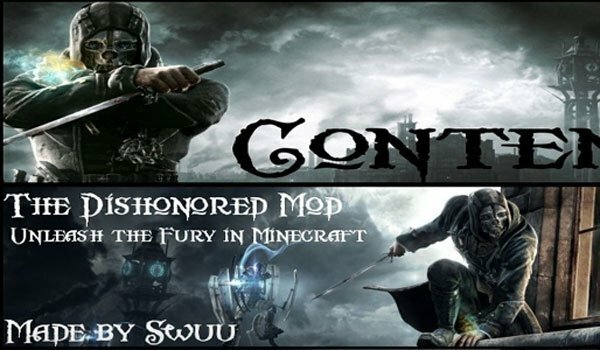 Dishonored arrives at Minecraft trough a mod that add sevral game elements. Dishonored Mod 1.4.5, adds new cubic crafts to your game as the Corvo’s armor, sword play, rune that will allow us to teletransport to the point that we marked, Wheellock gun that comes with explosive bullets and bullets normal or bone charm that allows great leaps. These are some of the options you add this mod, but there are some more that you could use. How to install Dishonored Mod for Minecraft 1.4.5? You can play with Dishonored items in your Minecraft!